Daswandh is the one tenth of the income the Sikhs contribute to spread the teachings of Sikhism, to serve the needy and for other social services like education, welfare, environment protection and standing for the human rights etc. With your support we were able to provide Gurdwara Services to the Sangat and Gurmat oriented educational services to our Punjabi School students, represent the Sikh Community in Interfaith and Outreach activities, organize camps and development programs for our students. We look forward to enjoy your gracious support in future too. With the generous support of the Sangat, we have completed the first phase of the Gurdwara building, which is opening on March, 19, 2017. After that all the Gurdwara Diwans and Events will take place in the new building. 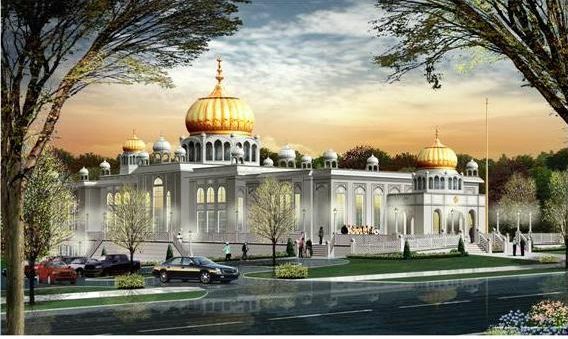 Now we will start the next phase of the Gurdwara Building. We hope to receive the same generous support of the Sangat to complete the next phase of the Building. EFT or the Electronic Funds Transfer, is the preferred way to pay recurring contributions. You can choose the amount you want to contribute. We will automatically, draft the specified amount of funds from your account every month. Click to following button for one time contribution.